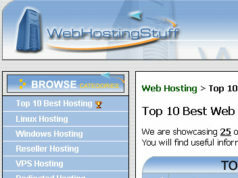 Hostmetro.com is as I type this post being show cased as number 7 on Hosting-review.com’s so called top 10 list. Until this year I had never heard of Hostmetro.com, after all there are thousands of hosts I have never heard of. 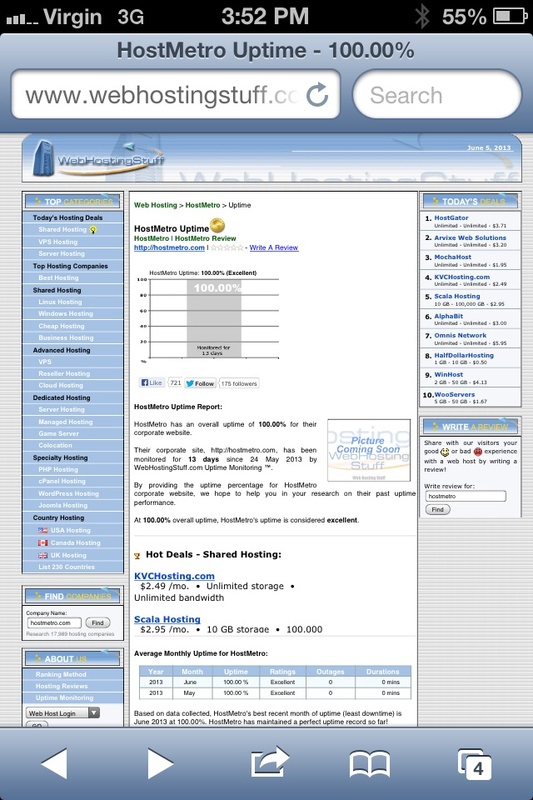 Earlier this month I was cleaning out a screen shot folder to get rid of the many files I will never use (never mind I should be focusing on packing for my move).Where I found a screen shot I took of a so called review site that show cased hostmetro.com earlier. Never mind what should have caught my attention was a host I never heard of on the top 10 for hosting-review.com. After all I know all the hosts that find themselves on these kinds of lists. This so called review site thought it was cleaver posting spam on the Facebook page for this site, in hopes of milking it for traffic. Per usual I took a screen shot of the spam banned the person who posted it. At best this review site is worth a screen shot. But a direct link would probable not be a good idea as their traffic score is no better than a newly bought domain. 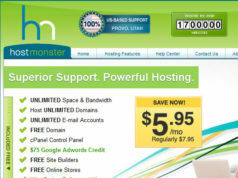 But they had me wondering who was Hostmetro.com, and why were they on the hosting-review.com’s top 10 list? The question you may be asking is why even bother doing a post on hostmetro.com. Truth be told, this is more about hosting-review.com and the big lie I caught them at. Hostmetro.com was picked by hosting-review.com as a top host because? Now before I go over the whole relationship between Hostmetro.com and hosting-review.com I would like to make it clear what the connection is. 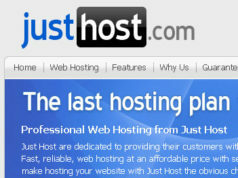 Hostmetro.com like all of the hosts that appear on hosting-review.com’s top 10 sites have an affiliate program. Which pay out roughly in the $100 range per sale. 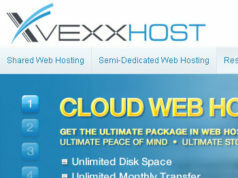 With the exception of arvixe.com all of these hosts including Hostmetro.com have cj.com (commission Junction) affiliate programs as well as their own in house programs. Once again I don’t have a problem with affiliate programs, even that of Hostmetro.com. In short its just a form of advertising. In fact, I am an affiliate of many of the programs covered under cj.com. At best I have an issue with the bulk of a customer’s payment going to an affiliate and not their service. Yet that does not make affiliate programs evil. The only reason hosting review sites like Hosting-review.com show case companies like hostmetro.com is because of the high payout. Hostmetro.com has an affiliate program. Normally most hosting affiliate programs offer a higher payout per amount of sales, but Hostmetro.com wants you to contact them to arrange a higher payout. Something I was not aware that cj.com had capability for negotiations. But as far as why a third party is a good thing in the case of an affiliate program, they get paid when the affiliate does. The reason I bring up the affiliate program is to get a clear understanding of why hosting-review.com would show case Hostmetro.com. Which is they are in this to make money. Despite giving a editor’s choice award to zyma.com (who happen to get 8/10 on user feedback with no customer feedback), they would not show case the host in their top 10. I have two theories behind that 1. The payout was not that high. 2. They gave zyma.com an award to leech their traffic. 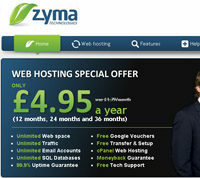 But Hostmetro.com is different from zyma.com, as they have a high payout. How old is Hostmetro.com? Hosting-review.com hints at 3 – 5 years. Time for Archive.org!!! So in effect I think it is safe to say they have around 10 employees. . But to be honest, Hosting-review.com never out and out states that the age of Hostmetro.com. There are other things to look at like Facebook, Twitter, and the Better Business Bureau to get a better grasp of how old Hostmetro.com might be. According to Twitter.com the first tweet was on February 4, 2013. Facebook.com shows they joined on June 20, 2012. However they have no activity on their Facebook page. Oddly they have 2,638 followers on Twitter (I am following them), and only 30 likes on Facebook. As I have stated many times before the BBB does not actually confirm the age of a company. The start date is something that the BBB asks, and they don’t bother to check any records to confirm this data. But I think based off everything I have seen that it is safe to say that was an honest answer. So as of today, Hostmetro.com is not even a year old. 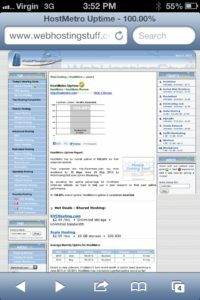 Hosting-review.com has reviews for Hostmetro.com all the way back to 2011. So the BBB has a start date of July 2012, heck even Archive.org has this for hostmetro.com on March 2011 (a simple domain parking page). But when was the first customer review? The first review was a negative one by someone calling themselves Robert, on May 10, 2011. However I don’t believe there was a Robert. Nor do I believe most of if any of those reviews existed before last month. So how is it that Hosting-review.com has reviews (62 to be exact) all the way back to May 10, 2011? Not to mention Archive.org has no history of any of those reviews prior to this month. Then back in March 2013 they somehow managed to go from 6 to 46 reviews and miraculously Arvixe.com is 7th host on the top 10 list at hosting-review.com. Not to mention the reviews change, as the earliest they had any reviews was August 4, 2011. It appears the first 2 negative reviews were deleted. Plus where there were no reviews after September 16, 2011 on January 15, 2015 there were now 42 reviews that had been added in. I think it is safe to say most if not all of the reviews at hosting-review.com are fake. But here is the weird part. Ipage.com, Justhost.com, 1and1.com, godaddy.com, Bluehost.com, and Fatcow.com don’t have any reviews after early April 2012. Over a year and 6 out 10 major hosting companies don’t have any reviews. That is unheard of for my site and I get less traffic than Hosting-review.com. The only site I have no covered is 1and1.com and I even get positive and negatives on this host. So Hosting-review.com should be drowning in reviews from these companies both good and bad. Somewhere after April 25, 2013 Hosting-review.com decided to add Hostmetro.com to their system along with the fake reviews. Hosting-review.com as I said before is in this to make money, and if they have to throw ethics out the door to do it, well fabricating fake reviews for Hostmetro.com and Arivixe.com is a small price to pay when the truth does not matter. Web-hosting-top.com (Award 12) does nothing more than add hostmetro.com to their system to give an “attendance” award. 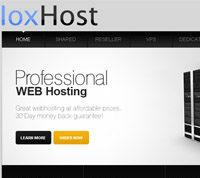 There is no direct link to web-hosting-top.com’s page on hostmetro.com, where there are no customer reviews. Cnet.com (Awards (15 and 20) provided certification, not awards. 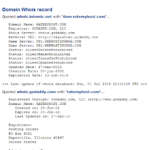 Webhostinggeeks.com (award 16) – award graphic simply says verified firm and “learned from reviews” (no idea what that means) they did not have any reviews until June 19 where they got 2, and another one on June 20, 2013. While most of the awards for hostmetro.com are vague some are nonexistent these awards stick out. But never mind that, despite being owned by the same person/group their top 10 lists are not in the same order with each site, there is one host that is number 1. Which begs the questions does Hostmetro.com own these fake top 10 review sites? Top-10-hosts.com (award 19) – Looking at this domain you would expect to find at least 10 hosts listed, but there is only one host – Hostmetro.com. I would not be surprised if this is owned by someone with in hostmetro.com. 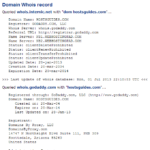 The domain creation date was December 18, 2012. 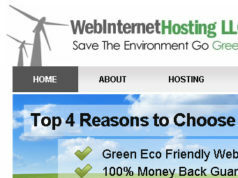 Cheap-webhosting.guide.com (Award 25) is not actually an active website and has a godaddy.com launch page. Hostmetro.com is another host that I will be following, and proof that Hosting-review.com is not to be trusted as unbiased review site. Hostmonster.com – Another possible EIG host seeks FTC Compliance. 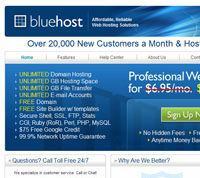 Bluehost.com another EIG company seeking FTC compliance? Vexxhost – Is there something vexxing about Vexxhost.com? 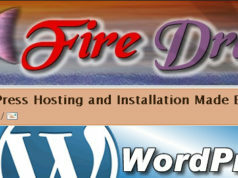 FireDragonHosting – Is firedragonhosting.com stuck in 1999? WebInternetHosting, does WebInternetHosting.com have any real reviews?